COAL turns ten this year – a decade of commitment alongside artists who use their cultural potential as a vector for change, for an ecological transition through solidarity. On this happy occasion, COAL presents Tierra del Fuego, the exhibition of Angelika Markul, laureate of the COAL Prize in 2016, as well as a series of nocturnes around the theme of climate change and the melting of the ice caps and one exceptional afternoon dedicated to the awarding of the COAL Prize 2018. Angelika Markul’s video trilogy, presented for the first time in France, reveals three states and stages of human history, from its origin to its disappearance. The Memory of Glaciers lies at the heart of the exhibition Tierra del Fuego. Opening with the discovery of the comet Churyumov-Guerassimenko which could contain an explanation of the origin of life on earth, it recounts the tragic collapse of a glacier in southern Patagonia. Mir explores terrestrial abysses dug by man and BepiColombo, the conquest of space. 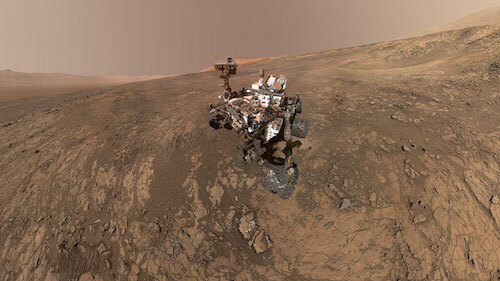 At the end of the screening, the artist and the head of the FIMOC (French Instrument Mars Operation Center) of the CNES confront these images of the creations and destructions caused by the man causing his own loss and the state of Martian research that leads to better understand the creation of the world, of what we are constituted and how we were created. A decade ago France defined its plan of action at the Grenelle Environment Round Table, as countries around the world were preparing for the 14th COP in Poznan, Poland. This year COP24 will be back in Poland, in Katowice, and just as 2007 was in its time the second warmest year in a century, 2017 has now claimed that title. Over this same period, the number of breeding birds species that are endangered in Europe has risen from 25 to 33 percent. There is hope however, for the solar-wind-biomass trio finally overtook coal as the main source for generating electricity in the European Union last year. 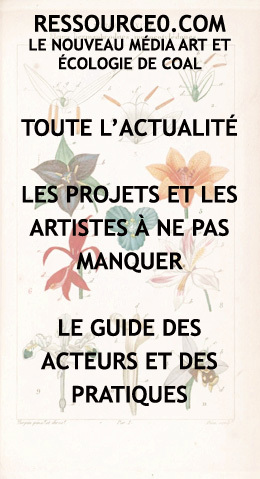 Where is this ecological transition in the art scene? After a decade of change both good and bad, the discussion returns to its beginnings to review the evolution of these past ten years. 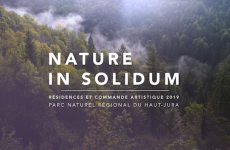 Notably, Nathalie Blanc will discuss her book Form, Art, and Environment: Engaging in Sustainability (Routledge), which explores the core underlying interest of artists working with ecology. Her research is based on the archives of proposed projects for various editions of the COAL Award. The COAL Prize supports artists throughout the world who dare to imagine and experiment in order to transform territories, lifestyles, organisations, and production methods. Together, they are building a new collective narrative, a new vision, developing our future heritage, and in doing so creating the necessary optimistic framework for everyone to find the means and the motivation to implement the changes needed for a more sustainable and just world. For its tenth anniversary, COAL opens the doors of its annual awards ceremony to the public. The ten shortlisted artists will present their projects before the jury selects the laureate of the 2018 COAL Prize. 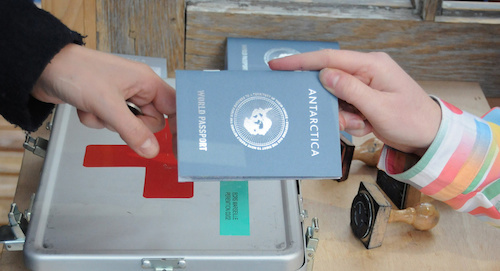 Since the global release of the first edition of the Universal Antarctic Passport in 2007 by artists Lucy + Jorge Orta, more than 50,000 people around the world have committed to become citizens of the Universal Antarctic Community, a unifying symbol of universal citizens. Each visitor will be issued a passport and will be asked to sign a commitment charter to meet the challenges we face. Lucy + Jorge Orta are regular collaborators who have been working with COAL since its inception. Four finalists from previous editions of the COAL Prize will deliver performances related to the imaginings of melting ice. 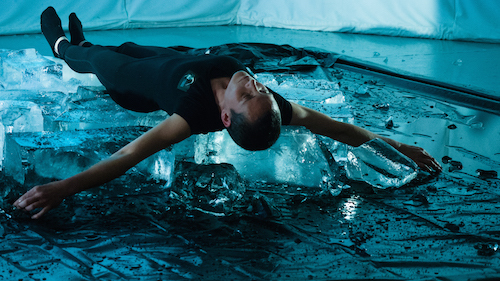 Starting from the ice age which froze Europe 11,500 years ago, Anaïs Tondeur’s The Cree of the Eophone presents the results of a fictional expedition which reveal the role of the ocean circulation in the delicate balance of our climate. Projected in 2050, Stéfane Perraud and Aram Kebabdjian render, with Soleil Noir, a fragile tribute to the utopian “Saturn” program initiated at the beginning of the 21st century, which aimed to stop the advance of the dry zones and the retreat of the cold zones to the surface of the globe thanks to the widespread implantation of solar-powered ice machines. Anna Katharina Scheidegger mixes ethnological, environmental and psychoanalytic approaches to offer us her vision of the fragile and tired state of the planet. The ticketing office opens from 7pm the evening of the event. The ticket also grants entry to the museum for a visit up to one month after the nocturne.